The figure of Goddess Britannia is familiar to everybody, a female personification of the island of Great Britain. The martial Britannia was used as an emblem of British imperial power and unity. 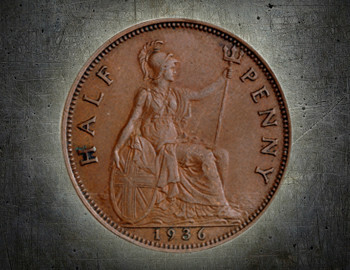 Goddess Britannia also featured on the banknotes issued by the Bank of England and on the reverse of the penny.